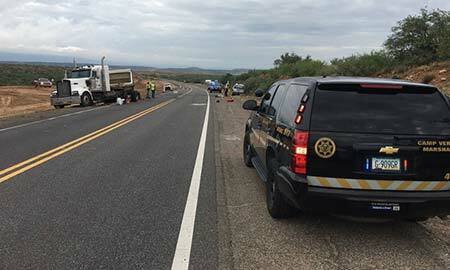 Camp Verde, Arizona—Rockwell Christian Lee was killed after a passenger transport van and a tractor-trailer collided on SR-260 in Camp Verde on July 25th around 6:16 a.m.
Mr. Lee was driving westbound in a white Dodge Caravan owned by the OOthoudt Brothers Company, operating under the name All Hours Transportation. The name of the tractor-trailer’s driver has not yet been released. Accident investigators’ preliminary results indicate one of the vehicles crossed the center line into the path of the other. Mr. Lee was pronounced dead at the scene. 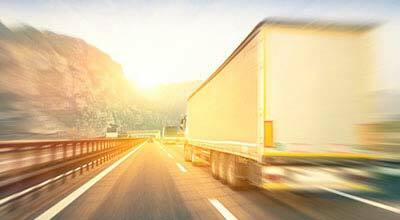 The driver of the tractor-trailer declined treatment of his injuries. The ongoing investigation is being conducted with cooperation of the Camp Verde Marshall’s Office, Copper Canyon Fire and Medical, Arizona Department of Public Safety, Arizona Department of Transportation, Yavapai County Sheriff’s Office and Yavapai Apache Police Department. No additional information is presently available. We extend our condolences to Mr. Lee’s family and friends over this tragic loss.